Introduction on how to position your business in the marketplace and create loyal customers. The "Branding for Kids" course introduces children to branding and why its important in entrepreneurship. Children will follow the story of Tracy who wants to start her own clothing line. She lives in New York and loves fashion. Tracy has a subscription to the major fashion magazines, goes to fashion shows when her mom gets tickets, and follows all the famous fashion models on social media. She begins to think of her future clothing line and how it will compare to popular companies she sees at the stores. Tracy needs to learn how to brand her line so she can differentiate herself in the marketplace and retain loyal customers. 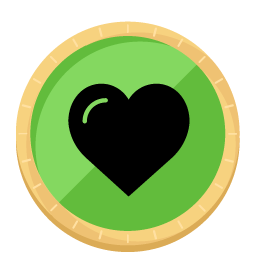 At the end of the course, you will earn your BRANDING COIN.